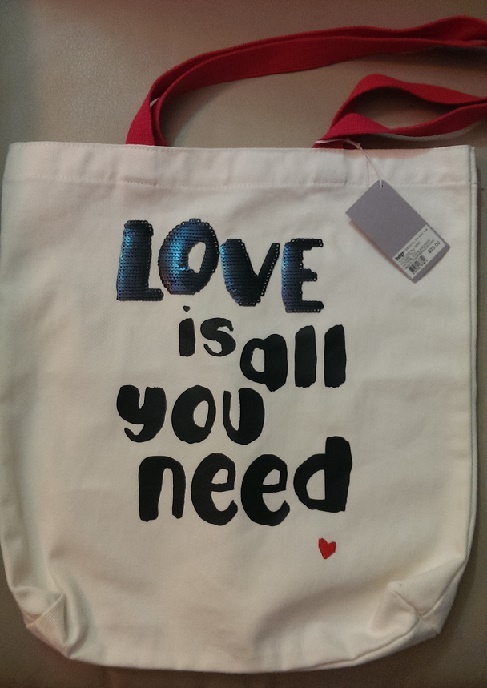 Up for grabs is this lovely brand new tote bag, sporting the Beatles lyrics: Love Is All You Need. I am a firm believer that Love IS all we need. Do you have/know a perfectly fitting quote that agrees with this? Can be your original, or your personal fave. I'm especially hoping for something on the importance making connections. Please enter your example below. Deadline? #FridayFunday at 9:00:00PM PST. The one that I find the most fitting for a possible opening quote to a work in progress manuscript, will win one of these totes for your very own, or to give to someone you LOVE! And to clarify, the winning quote may or may not be the one with most votes!